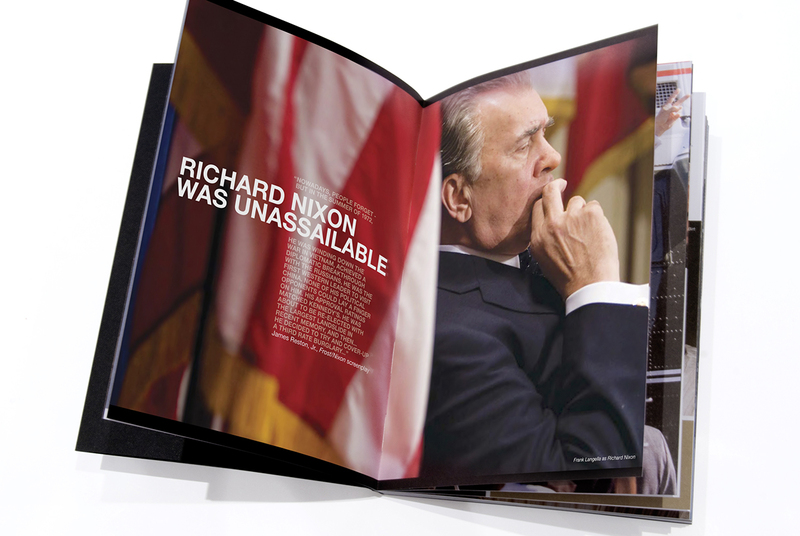 Bow Wow designed the marketing material for this film, including a stunning book to accompany it’s release. 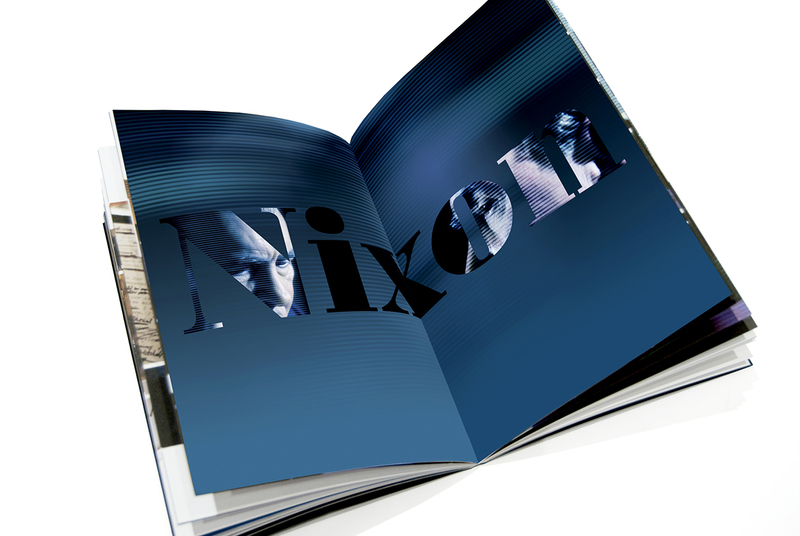 The book was distributed to the world’s press, the Academy Awards, the Bafta’s and other film institutions. 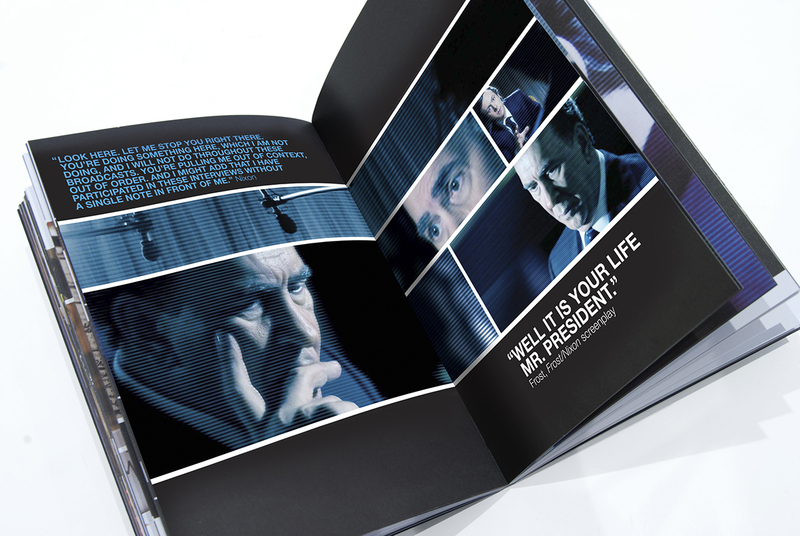 The book is enclosed in a black slipcase, which is foiled with the title of the film. 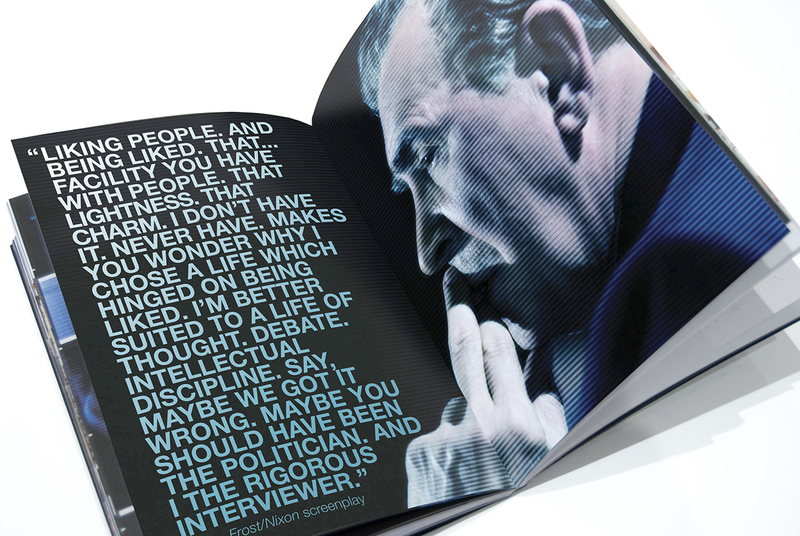 The interior of the book conveys the power of TV by magnifying images of Nixon’s interviews into a series of snapshots with a complex rhythm, to reflect the film’s unfolding drama. “The first and the greatest sin of television is that it simplifies, diminishes, great complex ideas, tranches of time, whole careers, become reduced to a single snapshot.” James Reston Jr.